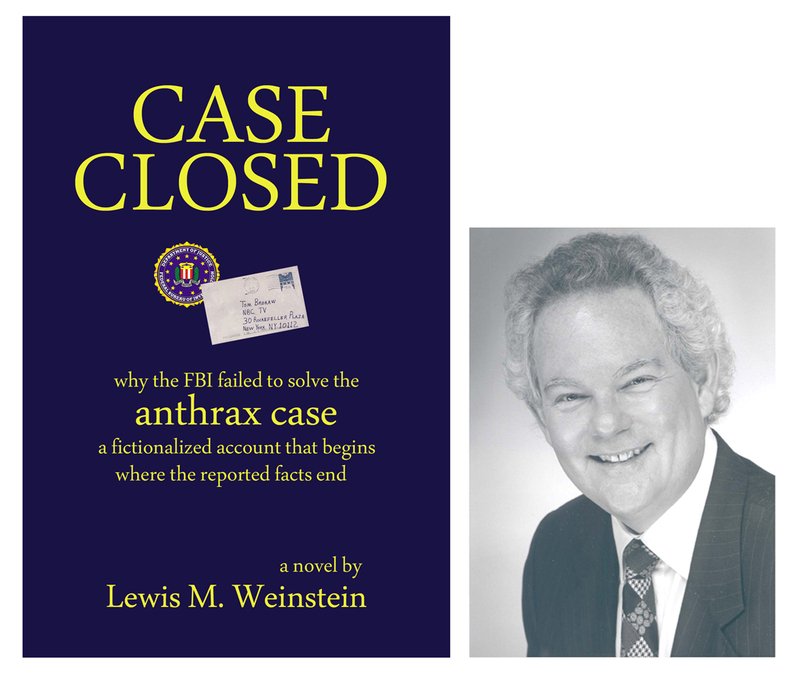 Senator Grassley & anthrax « CASE CLOSED … what really happened in the 2001 anthrax attacks? 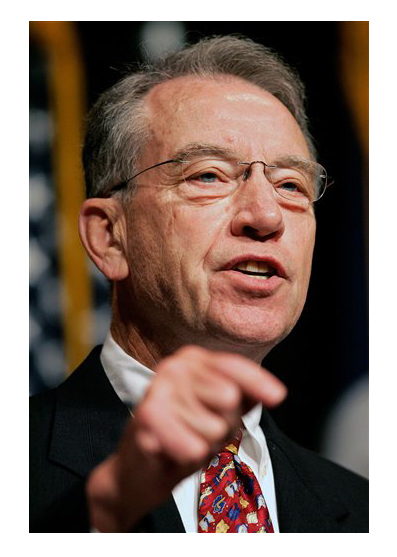 Sen. Charles Grassley of Iowa has asked the Justice Department to explain why its civil lawyers filed court papers questioning prosecutors’ conclusions that an Army researcher mailed the anthrax-laced letters that killed five people in 2001. The Justice Department’s civil lawyers said July 15 that Bruce Ivins lacked access in his lab to the “specialized equipment” needed to dry wet anthrax spores into airborne powder that could be easily inhaled. After hearing from the FBI and the department’s Criminal Division, the civil attorneys persuaded a federal judge in West Palm Beach, Fla., to permit 10 revisions to their position so it conformed with the FBI’s determination that Ivins did have equipment available to do the job. Grassley noted that two USAMRIID scientists, in sworn depositions in the suit, disputed the FBI’s conclusion that Ivins could have made the powder in his laboratory. 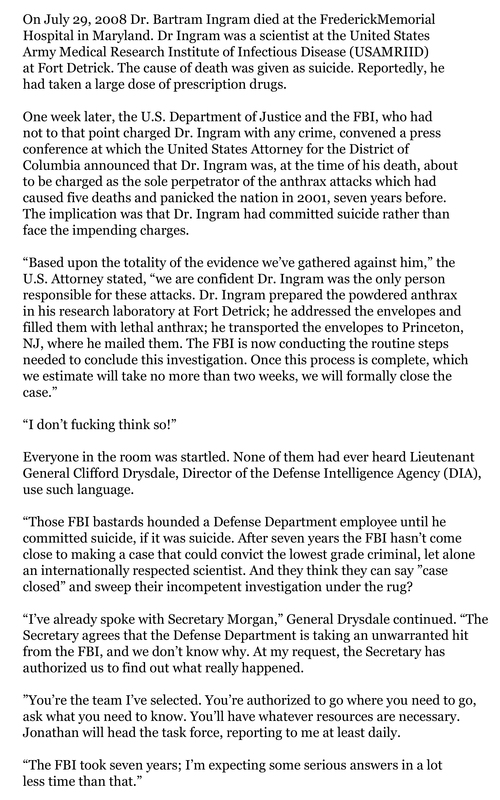 “For years the FBI has claimed scientific evidence for its conclusion that that anthrax spores found in the letters were linked to the anthrax bacteria found in Dr. Ivins’ lab. The National Academy of Sciences report released today shows that the science is not necessarily a slam dunk. The Academy only reviewed the science, not the detective work. This is potentially important support from the other side of the aisle. Answers to the anthrax attacks and the FBI’s flawed and failed investigation should be a bipartisan concern. What are the odds of a false positive—that is, the odds that the spore populations in Ivins’s flask RMR-1029 and in the envelopes weren’t related but shared the same four mutations by chance? 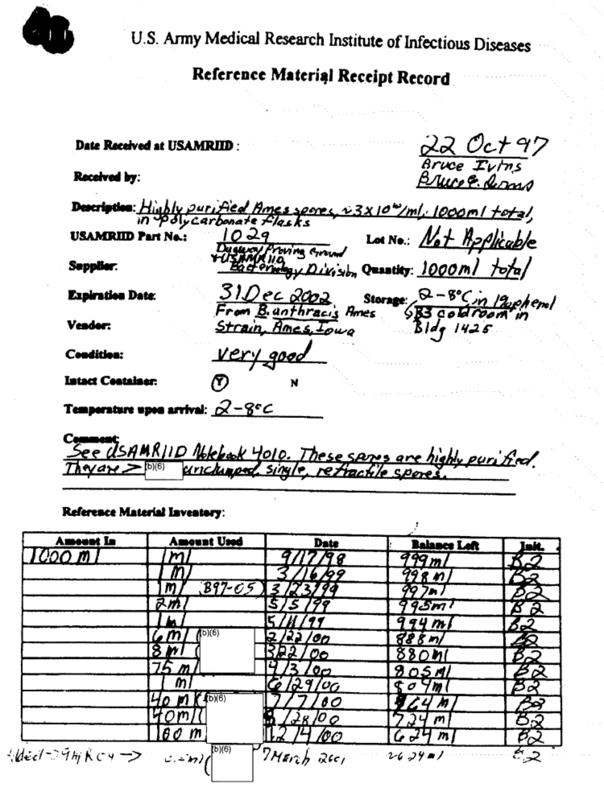 How did the FBI rule out the possibility that others at USAMRIID with access to Ivins’s lab prepared the envelopes? Almost all of the answers to your questions have been known for a long time. There were “well over a dozen” mutations in the attack anthrax. Experts selected the four that were most stable and which would be most easy to detect in other samples. Those four were used to go through the 1,070+ samples to find samples that included those mutations. Ed: the FBI needs to identify the 4 mutations. Since mutations are basically random and occur very rarely (about once in a billion generations), the odds of the same four mutations showing up in a sample by pure chance is virtually non-existent. It would be many trillions to one. Ed: what scientist calculated these odds? Presumably, they used the other mutations in the attack anthrax to determine the exact source. It’s like using race to reduce the number of possible fathers in a paternity suit, and when you’ve reduced the number down that way, you then use other DNA factors to find the exact father. If they didn’t do it that way, it was done with standard police procedures. Ed: not “presumably” … the FBI needs to say what it actually did. The same way that you reduce the number of suspects in any murder case: You check alibis, motivation, capabilities, etc. Ed: this answer doesn’t cut it. The FBI needs to say how they ruled out others. He routinely made purified spores. So, that wasn’t a problem. The only thing he did that is not normally done is to dry the spores. And there are many ways to do that. The spores will dry all by themselves if you don’t take precautions to prevent it. Ed: this is your opinion. 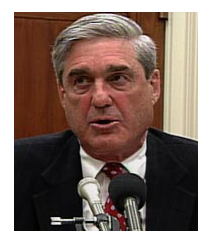 The FBI needs to say what they think and the basis for their conclusions. 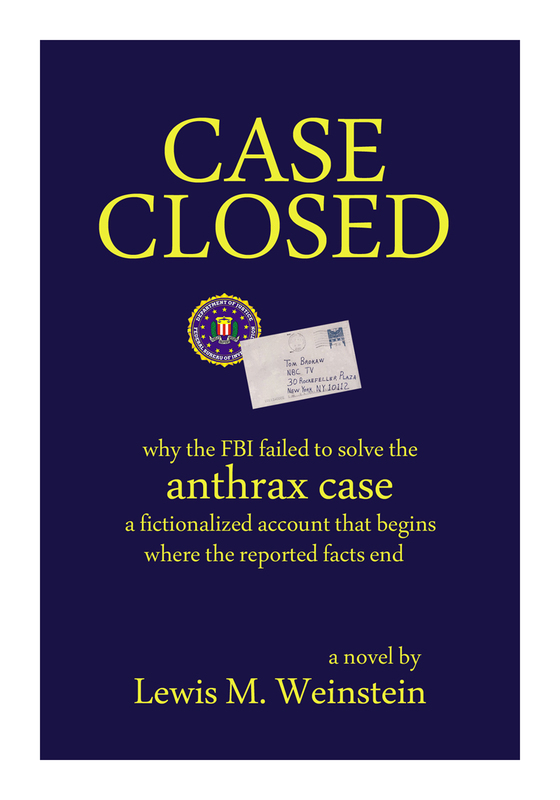 Dr. Hatfill was never a “suspect.” A number of scientists acting as amateur detectives and led by Dr. Barbara Hatch Rosenberg decided that Dr. Hatfill was the most likely person to have sent the anthrax letters. They campaigned for SEVEN MONTHS to get Dr. Hatfill publicly investigated. The New York Times joined in on the campaign, and so did a few other media outlets. The campaign included speeches at universities and at conferences, and persuading people to call their congressmen. Eventually, after SEVEN MONTHS of campaigning, Dr. Rosenberg was called before some senate staffers who listened to her arguments, and then those staffers virtually demanded that the FBI investigate Dr. Hatfill. 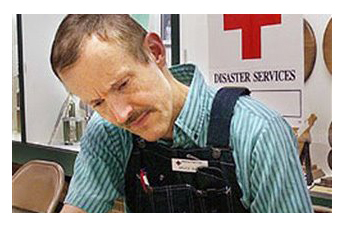 About a week later, Dr. Hatfill’s apartment was publicly searched for the first time – making him a household name. Ed: Dr. Hatfill was named a “person of interest” by Attorney General Ashcroft and hounded by the FBI for years before they paid him $5.8 million to go away. The FBI are big boys who are rarely known to respond to public, media or even Congressional pressure. It isn’t logical to blame the FBI’s actions regarding Dr. Hatfill on Dr. Rosenberg.